Our last full day had arrived and yes you guest it we were up at 5am! However, breakfast was later, at 6am and we walked from the lodge to the forest, no long hours on the bus. Green Jays visited the garden whilst we ate breakfast and Black-breasted Jays were in the drive way a little later. We added our first new bird of the day also in the garden, a Black-capped Tanager. The walk involved taking a narrow forest footpath up to 1600 meters so there was plenty of uphill work involved. In the lane outside the lodge we found Green-fronted Lancebill, Buff-rumped Warbler, Yellow-throated Chlorospingus and Slate-headed Flycatcher. Once in the forest things were really slow, birds were few and far between, sometimes we went 15 -20 minutes without a sighting and sometimes there was a flurry of sightings. Once on the forest trail two birds were seen almost immediately, a Highland Tinamou and then a Chestnut-crowned Gnatcatcher, they both fed on the footpath ahead of us. Next was the White-capped Tapaculo which was very hard to see and not everyone got to see it well. A little flock of species included Striped Treehunter, Streaked Xenops, Canada Warbler and Buff-fronted Foliage-gleaner. We had a short stake-out to try to see the Stiles’s Tapaculo and then we went a fair distance before we found Acadian Flycatcher. 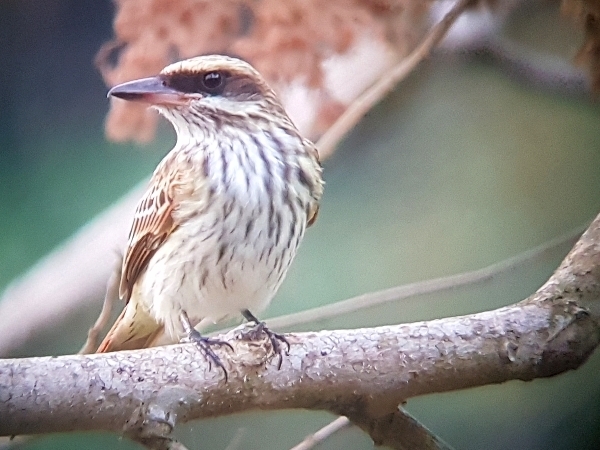 During the next two hours we found fewer birds but those that appeared need a mention such as: the little beauty Scale-capped Pygmy-Tyrant, Plain Antvireo, Slaty Antwren and Red-bellied Grackle. We reached the ridge and found ourselves in bright sunshine,not too good for birding, it was also a little breezy. 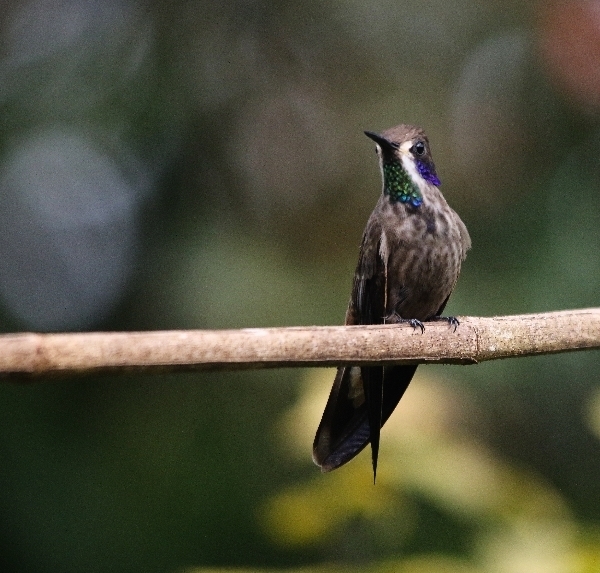 We found Beryl-spangled Tanagers, Ornate Flycatcher, Greenish Puffleg, Spotted Woodcreeper and not much else. No sighting was made of the much anticipated, Multi-coloured Tanager. We heaed back down to the lodge in time for lunch we saw some nice birds; Three-striped Warbler, Orange-bellied Euphonia, Indigo Flowerpiercer, Slate-throated Whitestart and the star of the show, the endemic Wattle Guan. We took a long lunch in the heat of the day, lunch was served at 1pm and we met again for our afternoon birding at 3pm. Johnnier decided to take us to a lower altitude to look for a couple of endemics along the main the track, so we drove for 45 minutes down the mountainside before we got out. 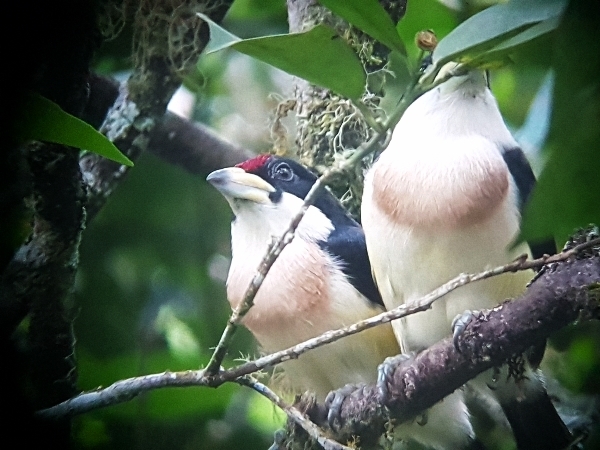 It was a great idea because there seemed to be a lot of bird activity at this lower level, we quickly found the endemic White-mantled Barbet, a pair of which had made a nest hole in a roadside tree. 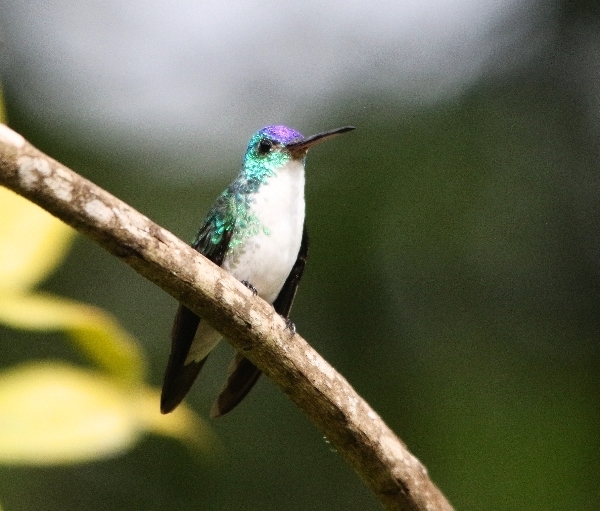 A Sooty-capped Tyrannulet showed very welltoo as did Crimson-backed Tanager, Blue-necked Tanager and Yellow-tufted Dacnis. 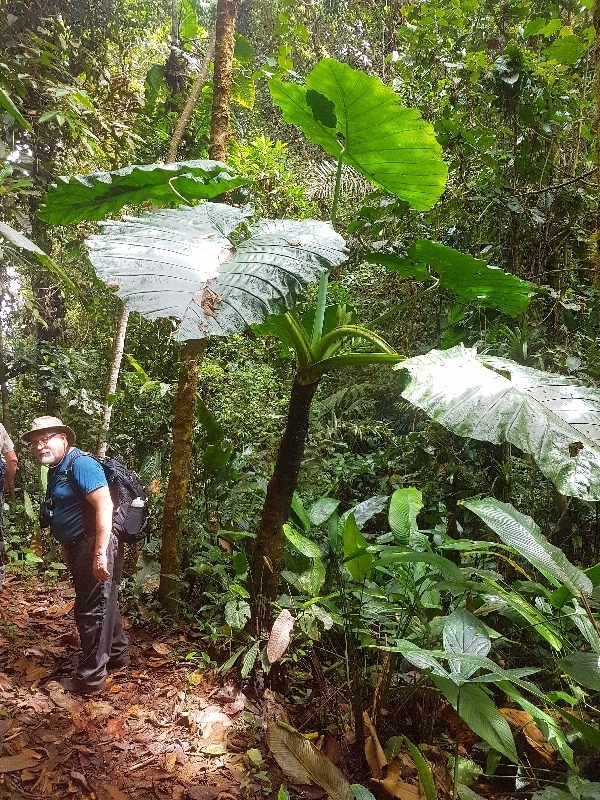 We only walked about 50 meters when Johnnier found another endemic, the Magdelana Antbird, that too showed relatively well, soon afterwards he was pointing out a pair of the stunning Sooty Ant Tanagers. We were well pleased with tose two birds. Other sightings included: Striolated Manakin, Swainson’s Thrush, Bay-breasted Warbler, Bay-headed & Summer Tanagers. We finished birding as the light began to fade and the cloud drifted in, our last dinner was taken at 7:30pm on the terrace with the moths and any other flying insect that cared to join us.